This article was written on October 09, 2007 by CyberNet. We gave gPodder a quick mention a while ago, but it has improved greatly over the last couple of months. Here’s a quick rundown of gPodder’s most important features. You can quickly navigate through your channels by using the channel browser on the left side of the screen. When new episodes are available for download, the number of new episodes will be shown next to the channel’s name. You can also set a channel cover for each RSS feed, either by letting gPodder fetch it or by pointing the application to an image on your hard disk. gPodder is among the first Linux applications that fully supports podcast synchronization with iPods (except for the new ones, read this article for details). People with directory-based MP3 players can use gPodder’s synchronization functionality too though. I for one like to do other stuff on the internet while gPodder is taking care of my podcasts. If you’re like me, you might want to limit the number of simultaneous downloads and the download rate in Preferences so that it doesn’t consume all your bandwidth. If you’re one of the few people who has heard of BitTorrent feeds, you’ll be happy to know that gPodder can handle BitTorrent feeds to some extent. I haven’t tried it, but it’s there. Although gPodder is among the best Linux podcast clients I’ve ever seen, it does have some drawbacks. The biggest drawback is that if you delete a podcast in gPodder, it doesn’t remove it from your iPod during the next synchronization. This means that you’ll have to do it manually using a tool such as gtkpod. The developer of gPodder is aware of this issue, but a fix for this annoyance has yet to be released. A Windows port(?) of gPodder is in the works. 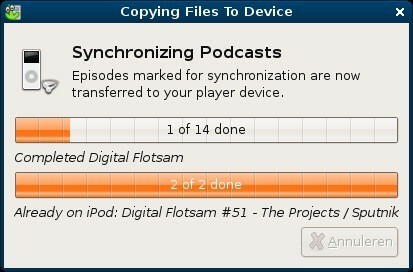 Unlike the Linux version, it doesn’t support iPod synchronization because the piece of software it relies on to synchronize podcasts to your iPod is currently only available for Linux. There’s no word yet on when and if gPodder for Windows will ever get out of testing phase. You can read this post on the developer’s blog for more details. Ubuntu users can download version 0.9.4 (which is not the current version) from the Ubuntu repositories by going to Applications > Add/Remove. If you’re not an Ubuntu user, check out the download page for instructions. The latest greatest gPodder version can be installed from its source. Just extract the package, open a terminal, navigate to the directory where you extracted the package (using ‘cd /path/to/the/directory‘) and finally execute ‘sudo make install‘. If you’re going to install gPodder from its source, make sure that all dependencies have been installed on your system. Not wanting to be left behind by the AIO hordes, Acer has unveiled a trio of new options for your spick and span desktop. The higher-end AZ5 provides a 23-inch expanse of full HD, multi-touch glory, a minimum Core i3-2120 processor, 4GB of DDR3 memory and a 1TB HDD, all for the sum of $750. Next up is the AZ3, which saves you $100 by cutting the screen size to 21 inches, switching to an AMD dual-core A4 APU (along with a discreet Radeon HD6410) and slimming the HDD down to 500GB. Both models come with an adjustable stand, two side-mounted USB 3.0 ports (plus four USB 2.0 ports on the rear) and a built-in webcam and mic. Meanwhile, Acer’s new Veriton all-in-ones target enterprise users who are prepared to sacrifice those high-def media credentials in favor of better performance and a smaller, more office-friendly footprint — the 20-inch Z2620G, for instance, packs a Core i5-2400s quad-core processor and NVIDIA GeFore GT 520M GPU for $850. All the new models are available in densely populated areas as of right now, and you’ll find more details in the PR after the break. 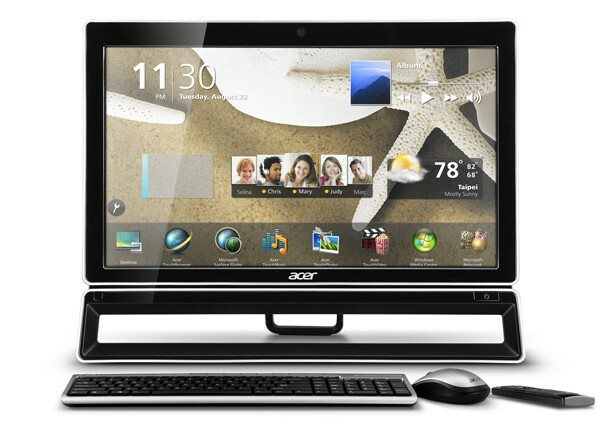 Acer outs AZ3, AZ5, Veriton Z Series all-in-ones, starting at $650 originally appeared on Engadget on Tue, 01 Nov 2011 00:34:00 EDT. Please see our terms for use of feeds. In case you weren’t aware, Apple’s sold a whole lot of iPad 2s, so aside from the couple of bezel color choices or adding a Smart Cover, there’s not much you can do to make your tablet stand out from the crowd. Well, now there’s another option for the well-heeled gadget lover. Stuart Hughes is back with another custom gadget for the economic elites called the iPad 2 Gold History Edition. It’s got a solid gold backside, an Apple logo and home button crafted from a total of 65 flawless diamonds, plus a bezel crafted from Ammolite rock and slivers of thigh bone from a Tyrannosaurus Rex. Between all that ice and prehistoric bling, there won’t be a problem picking this iPad out of a lineup. What is a problem (for most of us, anyway) is the price: eight million dollars. We dig the dino look and all, but that’s an awfully hefty entrance fee — we’d rather buy a stock slate and take a few dozen trips to the final frontier instead. iPad 2 gets an $8 million Cretaceous makeover with dino bones, diamonds and gold originally appeared on Engadget on Mon, 31 Oct 2011 23:47:00 EDT. Please see our terms for use of feeds. In the last round-up we brought you some immediate data from survey research on Japanese corporate use of social media, rapidly on the increase in Japan. Some of it takes a highly Japanese form (virtually hosted J-pop concerts) and some of it is via imported platforms finally starting to see growth (Facebook). mixi has long been the key local rival to Facebook and it is fighting to maintain its grip on the demographic. At the end of August it started offering a new “mixi Page” feature, allowing users to customize the design of their own free space within the site. Differing to regular individual mixi user pages, you do not have to be logged in to view a mixi Page, nor do you even have to be a member of mixi. In other words, it is meant to take the mixi aesthetic and community out of mixi itself, opening up the platform to non members. The examples for how to use the “mixi Page” feature include making it a homepage for a shop, or a portal to communicate with fans of a celebrity, or for groups of friends. It is available via a computer, regular mobile phone or the dedicated smartphone browser, Mixi Touch. Inside the page users can send messages similar to a tweet, as well as offer feedback and responses in a similar way to Facebook’s “like”. To be honest looking at the new service, it is obvious that the service is simply a copy of the Facebook Page feature. The new service was quickly embraced and in early September there were already over 80,000 Pages. A savvy move has been to offer PC analytics tracking for account-holders, including stats on page views, unique users, followers, comments and “likes”. There is also a ranking of Pages: The current most popular by far is the Page for Kana Nishino, a singer. Mixi have certainly upped the ante in the face of the American challenge, they even changed their logo! But they are going to have to pull out all the stops, it seems: Some data even puts Twitter and Facebook significantly ahead of mixi now. While gaming sites Mobage and Gree may seem distinctly Japanese in many ways, the companies behind them are hoping to try their luck overseas. However, rather than push into the American market DeNA (the makers of Mobage) at least have their eye on the growing South American market. They just bought Atakama Labs, a Chilean game developer, and who had previously been responsible for making global versions of Mobage games. DeNA is hoping to expand their development team to 1,000 (Japan plus international) in the near future. There was much hype surrounding the news that KDDI have now started to offer iPhones to its customers at last. Early estimates of iPhone4S pre-sales put it neck-and-neck with Softbank. What may have gone under the radar is the new Strap Phone WX03A from Willcom, a funky miniature phone on sale from December. Advertised as the same size as a box of mints (e.g. a pack of Frisk) and weighs a mere 33g (1.2 oz), with a 1-inch display. Its makers have called it the world’s smallest and lightest phone. Don’t expect many functions or special features except for infrared connectivity. The idea is that it connects like a strap to other phones and/or to a earphone/microphone piece (sold separately). Japanese consumers are already accustomed to carrying around more than one mobile device (e.g. a regular phone and a smartphone), so it’s not as unimaginable or unmarketable as it sounds. This is the latest in a series of blogs based on newsletters provided by our local research partner, INterRIDe Inc.
Android conspiracy theories? They go all the way to the top — or will soon, thanks to the US Defense Information Systems Agency (DISA). The department has given the green light to use Dell’s Mobile Security for Android platform on defense networks. The testing process utilized the Dell Streak, because apparently being giant is an important part of national security. 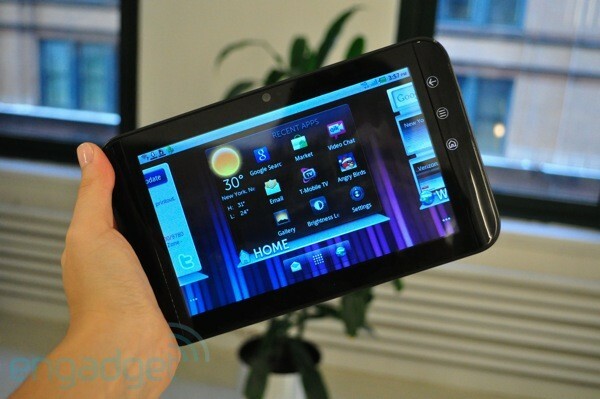 Dell Streak gets DISA approval, Androids look to Pentagon invasion originally appeared on Engadget on Mon, 31 Oct 2011 22:11:00 EDT. Please see our terms for use of feeds. This article was written on August 29, 2008 by CyberNet. A new website launched the other day called Quarkbase, and its goal is to provide details about all kinds of different websites. 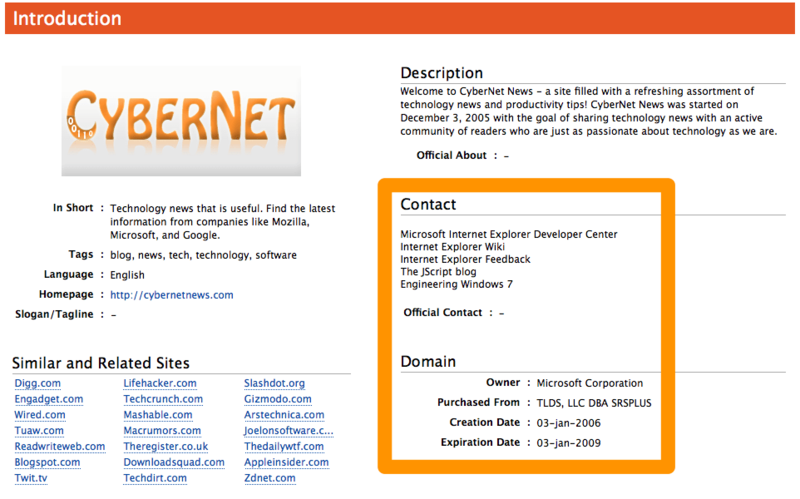 It gives you details like who owns the site, ways to contact them, how many articles are on Digg, and so on. It’s a pretty cool service and all, but I’ll admit that I didn’t have any intention of writing about it. Wow! If Microsoft owns us they sure aren’t paying us very well. And where are my free lunches? Not to mention the fact that we’d probably be exiled from the Redmond campus by now since we’re MacBook Pro and iPhone owners. Sure we’ve been called Microsoft fanboys in the past because we actually find Vista to be a decent operating system, but I have no idea how Quarkbase gathered that we’re owned by them. Guess they still have some quarks quirks they need to work out. Thanks to everyone who sent this in. You can put the paper bag down because it won’t help with your hyperventilating. Just breathe slowly, and give your teddy bear a hug. CyberNet is the “mom and pop shop” that it’s always been. Be jealous no more Android fans! (OK, maybe a little bit longer.) 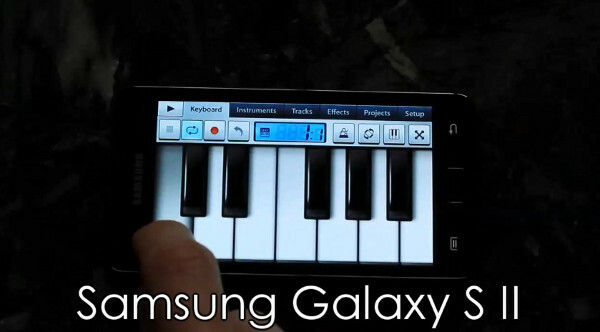 FL Studio is coming to your mobile OS of choice. No longer will it just be iDevice owners who get to channel their inner 9th Wonder on the go. Soon enough the company will release a version of its loop-based music-creation suite designed to work on both phones and tablets running Google’s portable platform. We don’t have a price or release date yet but, as a consolation prize, there’s a video of the progress being made on the port after the break. FL Studio coming to Android, Google fans can make phat beats too originally appeared on Engadget on Mon, 31 Oct 2011 20:55:00 EDT. Please see our terms for use of feeds. 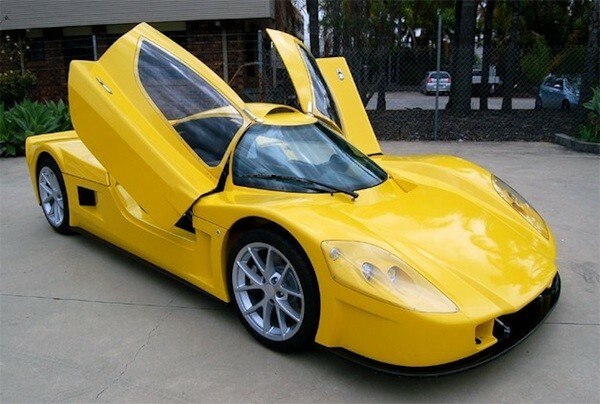 Varley’s evR450 all-electric supercar set to hit Australian roads next year originally appeared on Engadget on Mon, 31 Oct 2011 19:49:00 EDT. Please see our terms for use of feeds. The World Series is finally over and TV schedules have settled into their normal fall pace. Fox has its lineup set and is finally ready to air new episodes of Bones again, while those waiting more Blu-ray 3D movies have several to choose from. Both the Toy Story and Shrek series come home in the format this week along with the debut of Cars 2, and Uncharted 3 offers 3D support on the gaming side. Look below for the highlights this week, followed after the break by our weekly listing of what to look out for in TV, Blu-ray and videogames. Update: Commenter Bervick reminds us the Steve Jobs – One More Thing special airs on PBS November 2nd. Check the official site for airtimes on your local station. If you listen to the HD podcast, then you know this is one of our favorite shows. Michael Westin is a “burned” spy who bides his time trying to get back into the CIA by picking up odd jobs helping people around Miami Macguyver-style. Throw in a best friend played by Bruce Campbell and a health assortment of explosions and gunfire, and you’ve got everything we could ask for — except better picture quality, but you can’t have everything. This is what we like the most about college football. We’re deep enough into the season that a 1 vs 2-ranked matchup actually means something and we couldn’t have two better teams ready to face off. Both have won national championships, both are incredibly talented and well coached. Who will win? we’ll have to watch to find out. So far AMC’s switch from broadcasting classic movies to mixing in original programming has had its standout successes (Mad Men, Breaking Bad), and disappointments in The Killing and The Walking Dead. 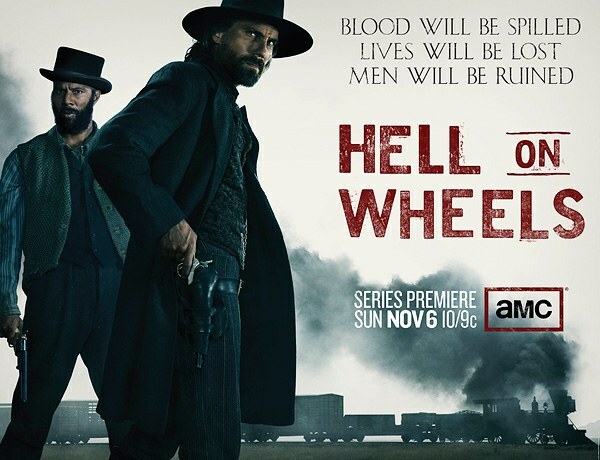 Sunday night it launches its latest effort, Hell on Wheels, which follows a former Confederate soldier hunting down the Union soldiers responsible for killing his wife. The name comes from the Nebraska town he ends up in along his quest that follows the construction of the railroad across the country. An interesting concept to be sure, but we’ll have to lay our eyes on it to know which category this one falls into — check out a trailer embedded after the break. Must See HDTV (October 31st – November 6th) originally appeared on Engadget on Mon, 31 Oct 2011 19:19:00 EDT. Please see our terms for use of feeds. The Xbox Kinect is Microsoft’s big push into motion-controlled gaming. You don’t even need a controller to play. Just move your hands and feet with gestures that the Kinect understands, and — voilà! — you’re kicking footballs, competing in dance challenges, and shooting down bad guys. But now, one year since its launch, the Kinect has gone way beyond video games. It could change our retail buying experiences, and reinvent the way we shop. A commercial version of the Kinect software development kit will be made available in early 2012, Microsoft announced on Monday, opening the door for businesses to create new applications for the popular platform. “With the Kinect for Windows commercial program, Microsoft hopes that visionaries all over the globe will continue to transform the way we do things with new Kinect-enabled tools,” a Microsoft spokesperson told Wired.com in a statement. Microsoft is currently running a pilot program with more than 200 businesses across more than 20 countries, including partners like Toyota, textbook publisher Houghton Mifflin Harcourt, and digital advertising agency Razorfish. If all goes as planned, we could see Kinect-based interactions show up at retailers, banks, automotive dealers and other commercial environments. Razorfish, for example, is looking at building kiosks in which customers’ bodies would be scanned in order to try on digital outfits without needing to take off any clothes — so said Razorfish VP of emerging tech Jonathan Hull in an interview with Kotaku. Other applications could include simpler tasks, such as waving one’s hands to navigate an ATM’s menu screens. Microsoft previously released a non-commercial version of its Kinect SDK in June, encouraging hackers and open software enthusiasts to create off-beat, innovative applications that take advantage of the platform’s motion-sensing capabilities. From gimmicky motion controls for banking software to NSF grant-backed medical research, the non-commercial SDK spurred creative uses of the platform beyond what Microsoft expected. Kinect first debuted in November of 2010 to much fanfare. The system eschews the traditional button-and-joystick controller scheme, and instead lets users navigate and play games via hands-free motion capture. The system was an instant hit, setting a Guinness World Record for the fastest-selling consumer device ever in the first few days after its release. In March, Microsoft announced it had sold more than 10 million Kinect devices. Though the hands-free controller has been a fun novelty for gaming enthusiasts, the Kinect’s utility for hardware-modding enthusiasts has been more compelling. The Xbox peripheral is packed with a bevy of sophisticated motion-capturing instruments, including an infrared light emitter to capture the surfaces of items in a room, and a depth camera that builds a 3D model of all the objects captured by infrared. 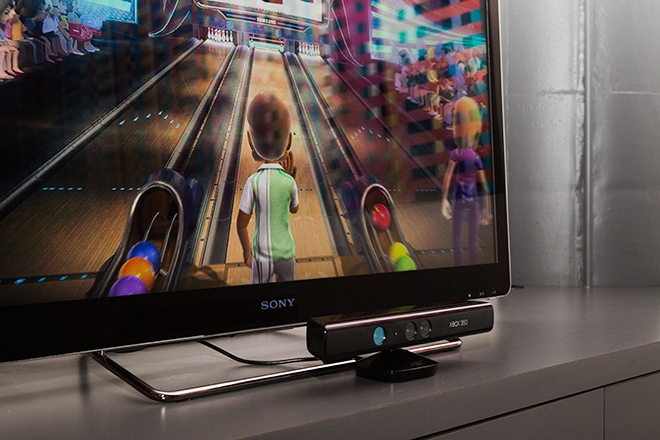 The Kinect’s relatively low $150 price tag has been even more attractive for budding DIY-ers. Willow Garage — the Silicon Valley robotics outfit known for its robot control operating system — now offers a $500 open-source robotics kit that incorporates the Kinect. The company’s previous version (also pre-Kinect) cost $280,000. Instead of taking action against the hackers or trying to bar hardware nerds from further Kinect mods, Microsoft encouraged development, promising to eventually release SDKs to new segments of would-be Kinect hackers. “Kinect represents the first incarnation of the next big thing in computing — a world where computing is becoming more natural and intuitive,” a Microsoft spokesperson told Bloomberg Businessweek in a statement. Kinect’s natural progression is to move into the commercial realm. Much like app developers for Apple’s iOS and Google’s Android, the release of the commercial SDK allows third parties to use Microsoft’s technology in bolstering their own brands and services. Partners, however, would use Microsoft’s hardware to augment their own businesses — this rather than providing content to a centralized store. In return, Microsoft would open itself up to untold numbers of potential new hardware purchasing partners. David Dennis, group program manager of Microsoft’s Xbox team, told Kotaku that Kinect devices could be sold in bulk numbers — the “tens of thousands” — to partner businesses. Microsoft hasn’t released any hard details on the commercial SDK’s release date beyond “early next year.” So don’t expect to start waving on digital fashion accessories right away.